Indulge a loved one with a bottle of Baileys and these delicious treats. 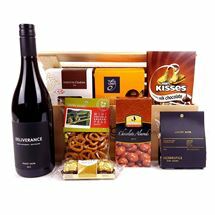 One of our very popular gift baskets, the Baileys Indulgence is perfect for most occasions. Baileys Indulgence is just that! 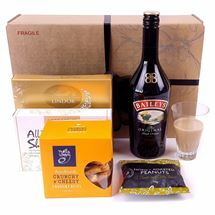 Baileys and delicious treats make the perfect gift for most occasions. Let them celebrate with this super gift. Presented in our new designer gift box.. The perfect gift for the chocolate lover! Lots of favourites and few new treats! All that and a bottle of fine New Zealand wine. Choose red or white wine. Presented in our new designer gift box. The perfect gift for the hopelessly addicted chocolate lover! Lots of favourites and a few new treats! All that and a bottle of fine New Zealand wine. Choose red or white wine. Presented in our new designer gift box. 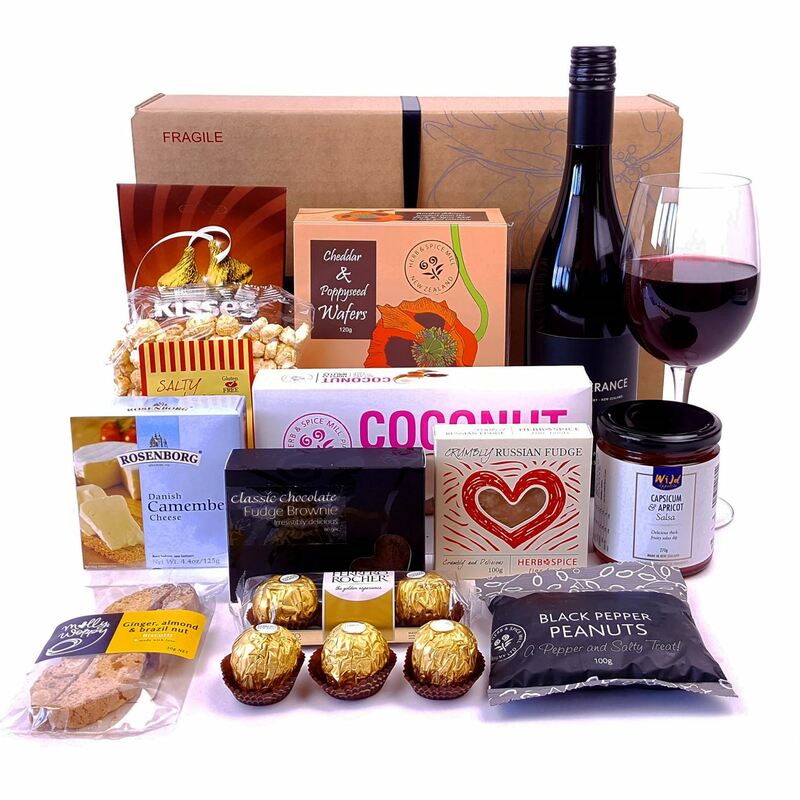 Treat someone special to this lavish gourmet hamper! Perfect for a memorable celebration or to say a heartfelt "thank you". 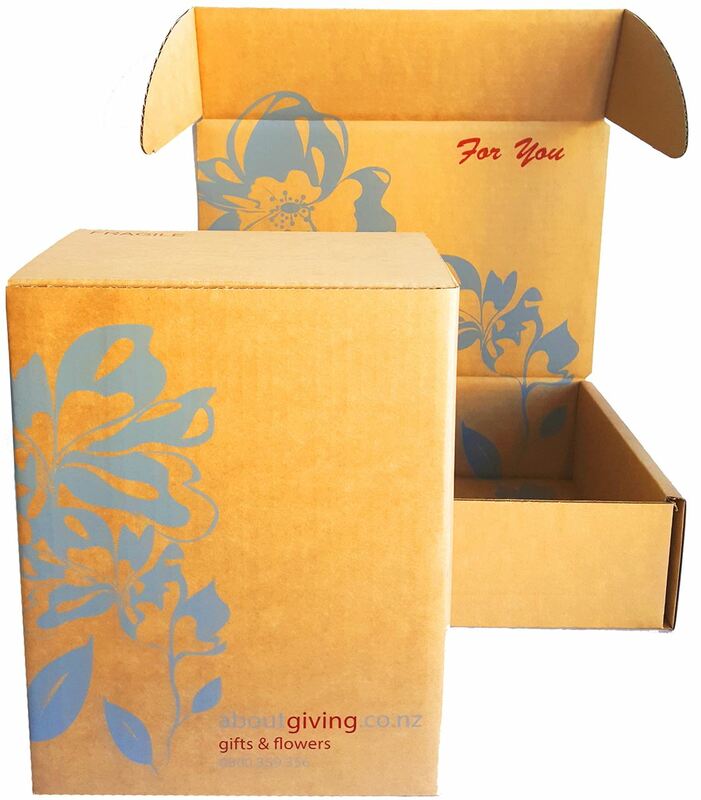 The lidded wooden crate is custom made in New Zealand from sustainable pine. It can be put to use for years to come once all the goodies have been eaten. 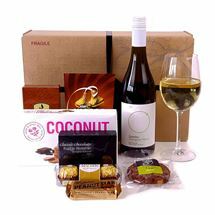 Presented in a stylish lidded wooden crate with ribbon and gift card. Moet Indulgence is what it says! Treat someone special to this extravagant gourmet hamper! 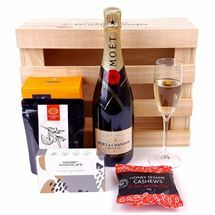 The perfect gift for a memorable celebration or to say a heartfelt "thank you".